It was about a decade ago when the fad of stock market caught badly amongst the users. It signified returns, prosperity and just everything that an average investor loved. The ride was pretty smooth until 2008 when the world financial crisis changed things forever. It lasted for many months and the after effects did last till 2014. But now again, the pessimism is turned into optimism and there is a call for revival. However, due to higher penetration, there is an immense level of participation. Apps are one such addition. Today, no one wants to execute the trade. It is rather easy to do it through a few swipes on the phones. And apps like IIFL have made lives of investors easy and fun. 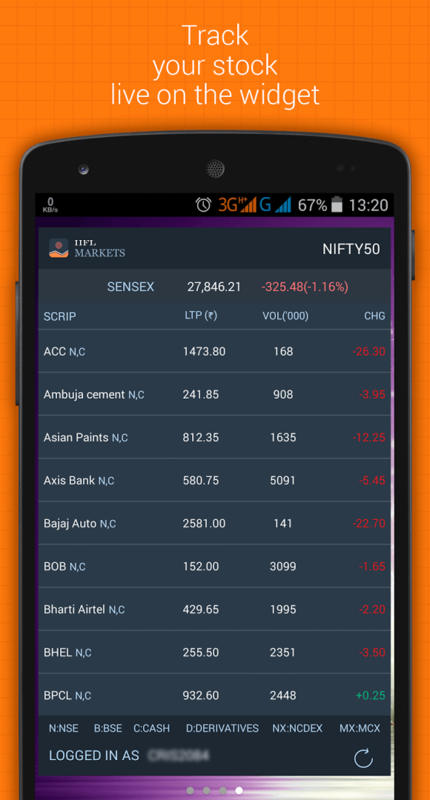 Now, investors can stack up to 100 scripts using stock market apps and track it easily at the palm of their hands. There hasn’t been a better phase in the history of financial markets as it is now. Today, things have got smarter and so has an average investor. With leading apps like IIFL Markets, one can’t just catch up with the stock quotes but can also trade on the go. Moreover, the users do have access to a wealth of information. Most notably, research reports complied by 50 odd researchers for free of cost. That is making investing and quality knowledge accessible for the users. To put it in perspective, the desktop software miserably failed as there were no takers for the software whereas these apps are crafting a different story of their own. Leading apps are getting over 50% positive feedback, with a few like IIFL Markets managing over 80% positive feedback. All this takes dedicated effort. And companies have invested to keep up with the demands. This is exactly the reason which has boosted rural participation, and the ability to trade on the go has turned out to be priceless for savvy investors who used to find carrying their computer a big hassle. When it comes to infrastructure, leading companies have roped in world-class mobile developers and has given them free hand to use analysis in any vertical to give them a delightful experience. And it seems to be working for most of them. Some have deployed a dedicated server to give experience a boost. All this comes at a huge cost, but the reduction in human labor cost is likely to work for that. There are some broker end applications that are finding it quite easy to foray into the markets as they offer mobile trading vis a vis global players like Moneycontrol that are constrained with that factor. Customers can now even apply for the brokerage account by just tapping on their phone which has skyrocketed the participation and has lead to a spiral growth in both financial markets and economy. To try it yourself, you can download any leading stock market app like IIFL Markets from android or apple store for free, and explore the new world of investing yourself. Why do Follow up Emails Achieve a Higher Response Rate?